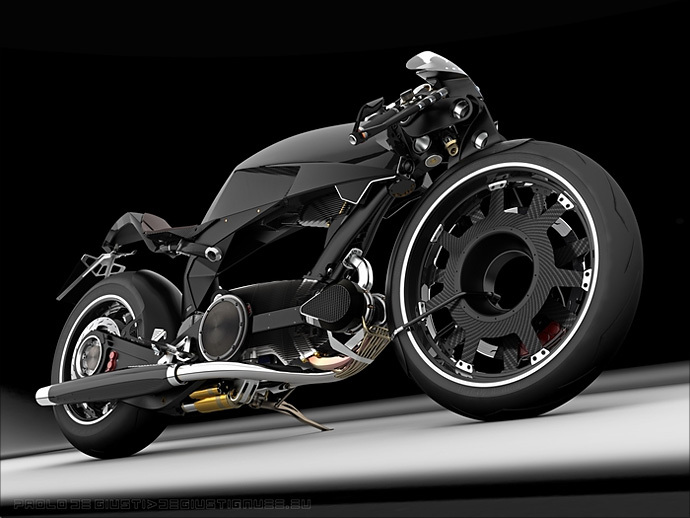 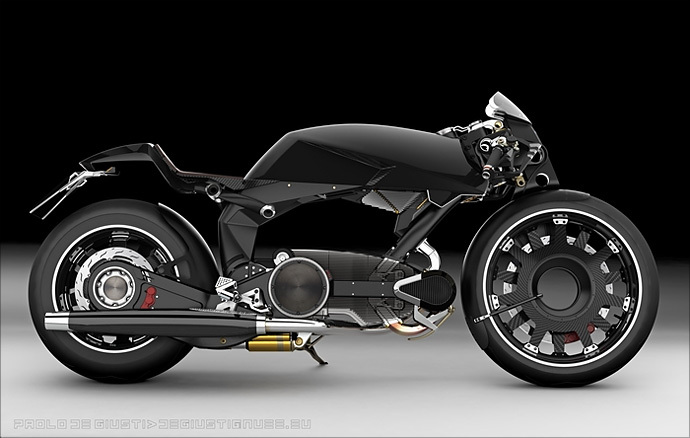 Our Imaginary Garage sessions on Pipeburn are all very good and well but if we ever wanted to ramp things up just a little and start doing some 3D modeling, I’d be much more than happy seeing a bike like this roll out of the other end. 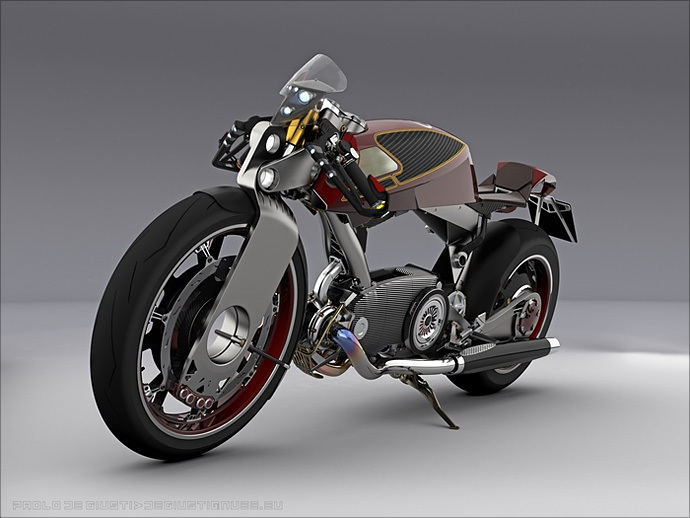 These stunning renderings are by Italian industrial designer Paolo De Giusti, who has drawn inspiration from an older generation of single cylinder Moto Guzzis from the 50s that have been all-but-forgotten since the company’s success with it’s twin cylinder V90. 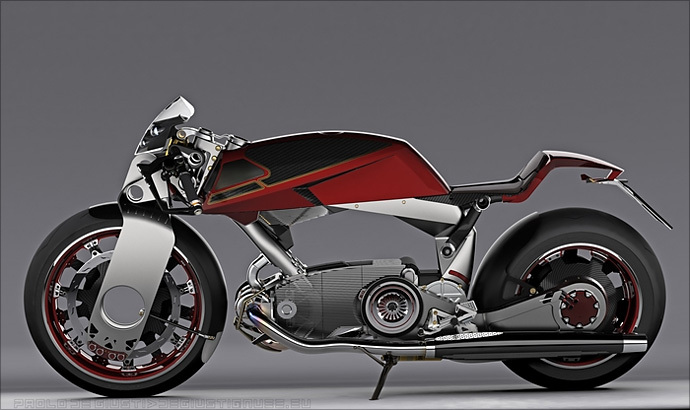 His achievements here shouldn’t be underestimated – he’s managed to design a bike that draws on racing motorbike designs of the 1950s and fused it with a modern sports bike sensibilities and just a dash of cafe racer for good measure. 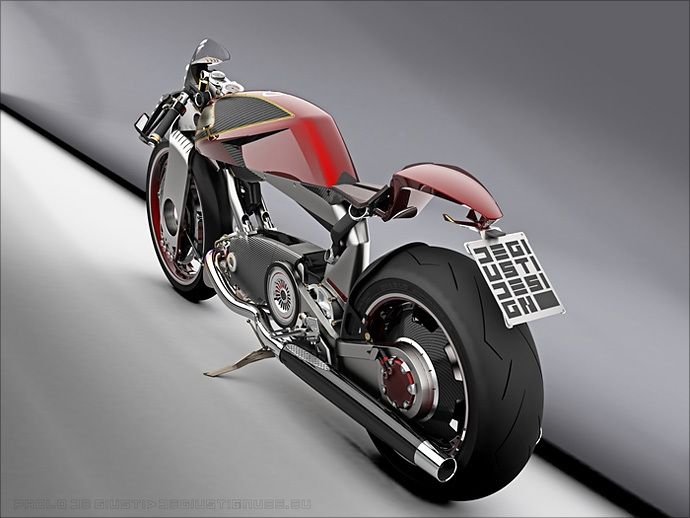 Offline I’ve been quite critical of the new Norton Commando due to its uninspired and confusing modern take on a classic design; here’s a bike that really highlights it’s shortcomings and reminds us just what’s possible when you know your stuff.